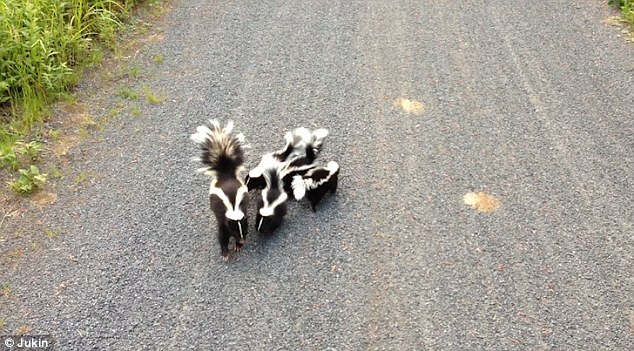 White Wolf : Family of skunks scamper down the road to greet a cyclist. 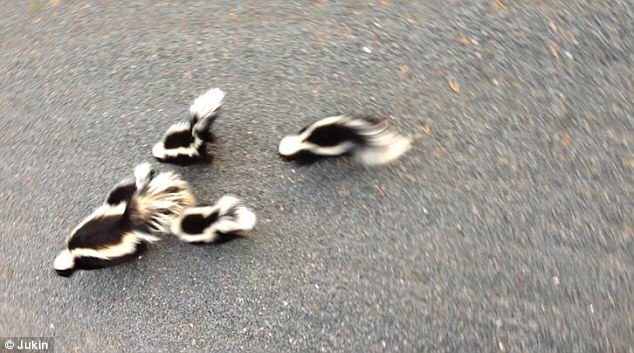 Family of skunks scamper down the road to greet a cyclist. 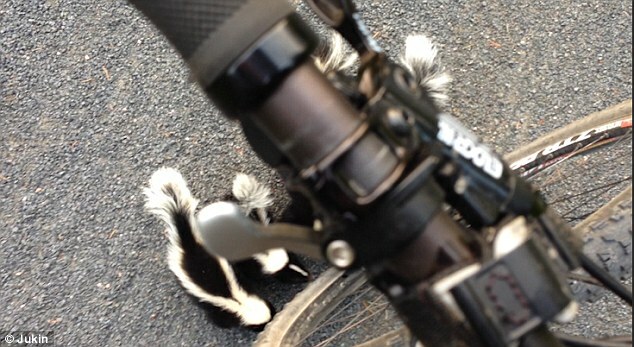 Skunks comically bound towards the bike, tails bobbing up and down. They sniff around the wheel before investigating the man's boot. The cyclist wisely stays still throughout before the five run back to wild. 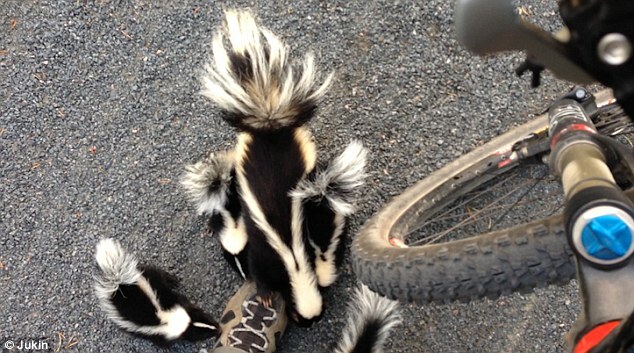 A cyclist had a Disney movie-worthy encounter when he was greeted by a family of inquisitive skunks in the countryside. The unnamed man was biking through Pointe-Taillon National Park in Quebec, Canada when the group came scampering out of the undergrowth to say hello. In amusing footage, the parent and four offspring comically bound towards his stationary bike, their tails bobbing up and down. Unwilling to make the expedition alone, they press their bodies tightly together, making the family seem like a mass of black and white fur as they approach the cyclist. The curious critters squeak as they nosy up to the bike's wheel, thoroughly intrigued by the bizarre contraption. Hilariously they appear to group together to confer about the tire before turning their attention to the man's boot. Just as before they huddle together as they trot off down the road back into the wild, their assessment of the cyclist complete. 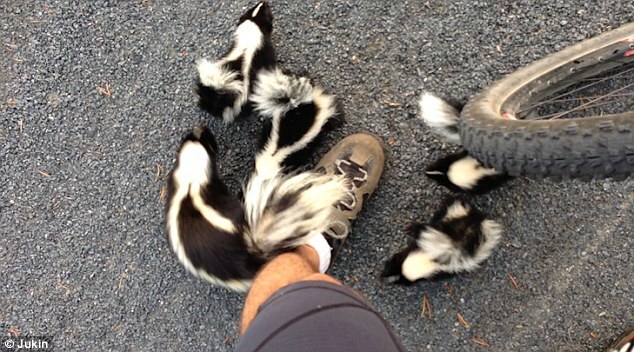 Responses to "Family of skunks scamper down the road to greet a cyclist."